Welcome to the website of the pioneer of Dylan Studies: author of the first critical study of Bob Dylan's work, Song & Dance Man: The Art of Bob Dylan, published in 1972. The massive third and final edition, Song & Dance Man III, was published at the end of 1999. This was followed by the even larger Bob Dylan Encyclopedia in 2006 and 2008. Michael Gray is a widely-booked public speaker at arts festivals, colleges & universities and arts centres in Europe and North America. His books have been translated into Japanese, Italian and German. Newly available again: these are the last signed copies of this 1st edition hardback, published by Bloomsburyt UK - and now at a remarkably low price. 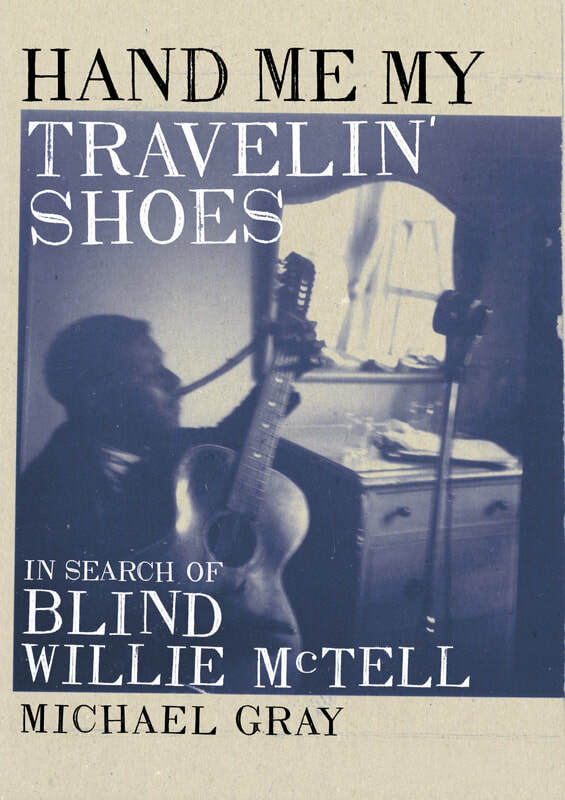 This is the only biography of this great blues singer-songwriter, who recorded from the 1920s to the 1950s and died in obscurity in 1959, just before he would have been rediscovered in the Folk Revival boom in Greenwich Village etc. His songs have been revived since then by, among others, the Allman Brothers Band, and Bob Dylan wrote his own best song of the 1980s about McTell, with the refrain "No-one can sing the blues like Blind Willie McTell". The book was shortlisted for the James Tait Black Memorial Prize for Biography 2008 - one of tive biographies chosen out of the 90+ read by the judges. As the sub-title suggests, this is not only the story of McTell and his times but also the story of getting the story. See the Shop Page for details and to buy.